Roar, Moo, Baa! 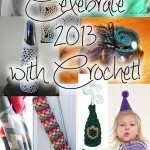 10 Free Crochet Animal Scarf Patterns! Scarves can be fashionable, warming, frilly, or business-like. They make great gifts because they fit for years and years. And they can also be a lot of fun – like animal scarves! These are great for kids or any adult with a sense of whimsy. 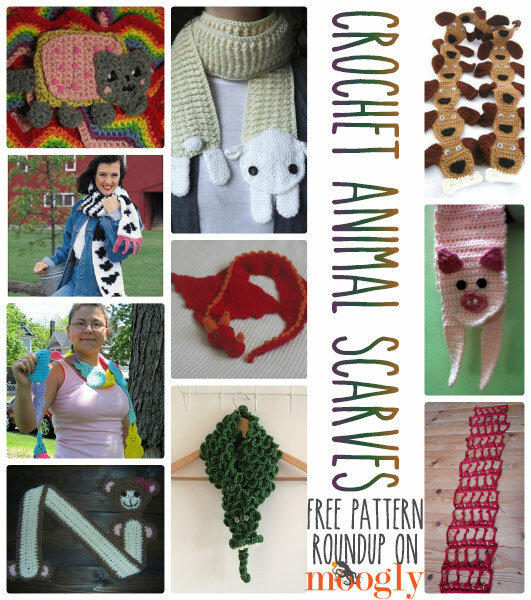 Here are 10 free crochet animal scarf patterns to put a smile on your face! 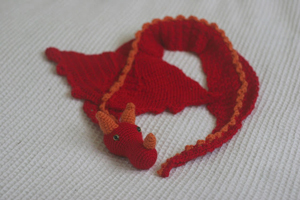 Dragon Scarf by Krystal Higgins, on Six Little Mice: Whether he’s named Pete or Smaug, this dragon scarf is sure to please a whole lot of people! 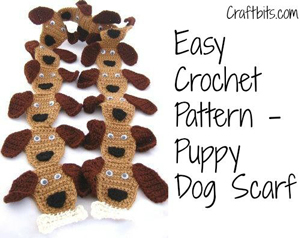 Puppy Dog Scarf by Shellie Wilson, on Craftbits: Super fun for any puppy lover – and those bones at the ends are so fun! Piggy Scarf by Rohini Joseph, on The Anti-Social Butterfly: Who doesn’t want a pig wrapped around their neck? Super cute! 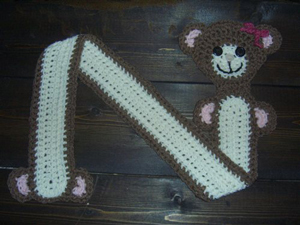 Bear Hug Children’s Scarf by Miss V, on Crochet Me: Such a cuddly idea! Great for littles who don’t want to leave teddy at home. 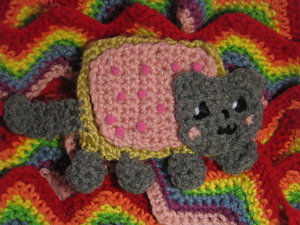 Nyan Cat Scarf by NiklSaurus by Nichole Bryant, on NiklSaurus: Okay, so PopTart cats are imaginary. But delicious! And rainbows! 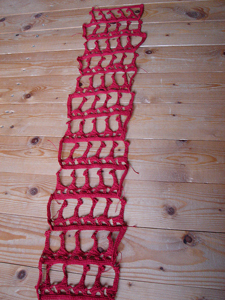 Egyptian Giraffes by Tanja Osswald, a Ravelry download: Can animal scarves be dressy? I think this one qualifies! Less quirky maybe, but completely amazing! Udderly Silly Scarf by Betsy Dey, on FreePatterns.com: For the 4H Queen in you! 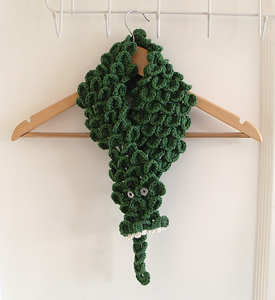 Crocodile Scarf by Cult of Crochet: Clearly what the crocodile stitch was invented for! Marshmallow Bunny by CopperScaleDragon, a Ravelry download: Peeps you can wear! Without getting sticky! 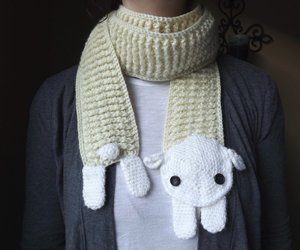 Sheep Scarf by Michelle M. Taylor, on Stitch Love: Lambie! What wool lover can resist?? What do you think? Would you wear one of these, or do you know just who to make it for? 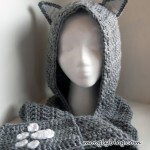 Are there any crochet animal scarf patterns you think should have made the list? Share in the comments, and be sure to share this post with any animal scarf fans you know! 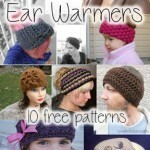 Crochet Ear Warmers – Fast to Make and Fun to Wear! 😀 You’re very welcome Tess! WOW is my responce you have a nice & fun Blog. Thank You for sharing. I would love to have it. Would you be able to e-mail it to me if you can I would be so thankful. Otherwise, you’ll need to contact the designer at Stitch Love. Hope that helps! I really like the animal scarves. I would LOVE for you to do an elephant. 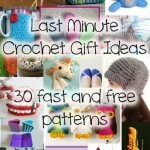 I have been looking for a free elephant scarf pattern and cant find one anywhere. Please consider it. Thanks! Ooo, I like that idea! Thank you Sakinah! 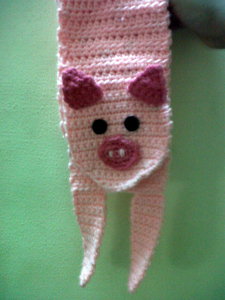 Thank you for featuring the piggy scarf on the page! 🙂 Thank you for sharing the pattern!